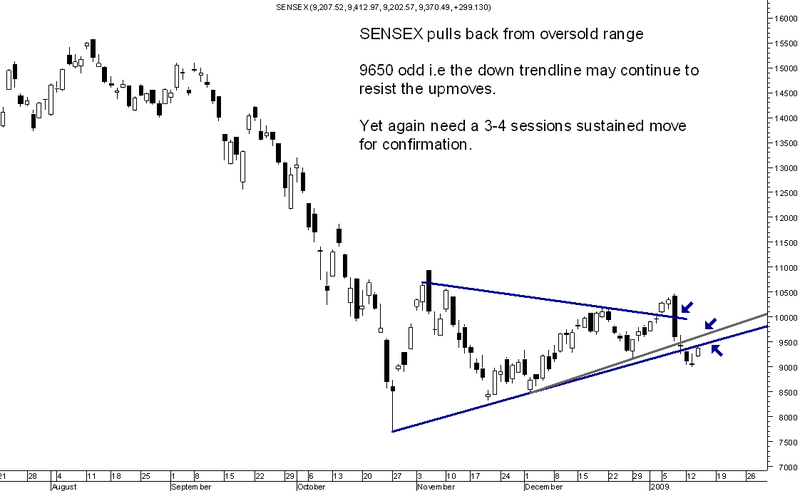 Sensex gives a pullback move … Will it sustain ?? 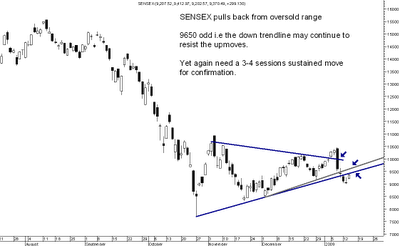 Sensex gave a quick pullback to come back to 9350 -9400 . As it was noted in the video that mkts have fallen around 1000-1400 points in last 3-4 sessions and a pullback is also a good possibility before confirmatory signals emerge. In the chart above we can see the two lower trendlines which would resist any upmoves and such a pullback does happen as a testing of the lines in ideal technicals. 9450 and 9650 odd are the trendline levels. Only a sustained move beyond these lines would reduce the possibility of triangle breakdown. The markets have been swinging below and above the triangle in the last few days. The view to wait for a confirmatory moves still remains till then wait and watch . The stock gave a quick bounce from lows ( some say there were rumours ) . Resistances on upside are at 1200-1220 and higher side 1295 . Only a sustained move beyond 1300-1340 or below 1020 can give a clear direction . There are lot many emails , rumours and discussions on various stocks right from reliance to rolta to polaris to pyramid saimira etc have been continously doing rounds. There are many versions to each story. In such a case the best thing to do would be to not act on rumours or source based news as market reactions could be huge and volatile which will hit day traders and short term traders. 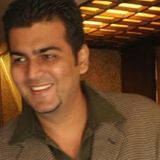 Continue to maintain discipline as in current market conditions conserving capital is more important in uncertainty.